Cocoa Bakery’s got quirky bags full of colourful yummy nutties, and it’s all you need to get rewind to your fun childhood days. 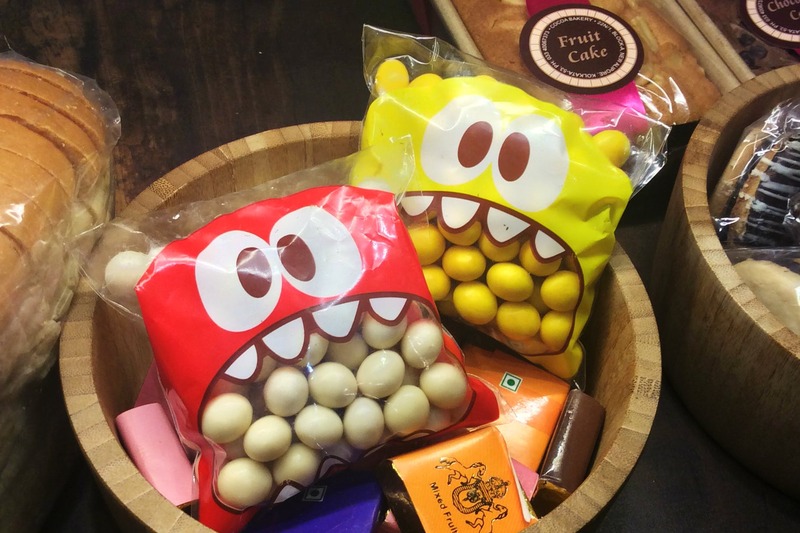 We chanced in on quirky monster-faced bags of colourful nutties while on a casual visit to Cocoa Bakery, near Minto Park. Orange, pink, yellow and white—these crunchy, sweet nutties have wafers inside and candy coating on the outside. The fun colours made them irresistible to us as we skipped back to childhood while popping them. They’re perfect to binge on and too cute to share, and we’re exhausting packets of it without much care. Don’t tell your dentist about this at all because we know you won’t stop if you try one! A bag of these wafer nutties are priced at INR 100 each.